By utilising the natural properties of salt, SaltX Technology’s ‘SunCool’ solar panel system is able to both heat and cool buildings using solar radiation. The ‘SunCool’ system, developed by SaltX Technology, reduces the energy consumption used for heating and cooling systems in buildings by using salt to store energy. The customised solar panels store solar energy and can produce both heat and air-conditioning during day and night, providing high energy efficiency and reducing costs by up to €100 per square metre. The SaltX Technology in SunCool works like a battery, but stores thermal energy rather than electric. Via a two-step chemical process, the sun heats up wet salt in a capsule, causing the water to condense into another. When combined again, heat arises in the first capsule while the second cools. A nano-coating protects the salt crystals which allows the process to be repeated thousands of time, providing long-term energy. The company has installed 180 square meters of panels in Sweden for one of the nation’s largest coffee roasting facilities. The SunCool installation provides heat and air conditioning for the building, reducing energy consumption by around 50% and CO2 emissions by 438 kilograms per year per metre squared. In Europe, heating and cooling is still generated from fossil fuels, and accounts for nearly half of the EU’s energy consumption. Technologies such as SunCool that can use the sun’s power to both heat and cool have the potential to cut these figures and help achieve the EU’s climate targets. The SunCool technology for heating and cooling can help to increase the share of renewables in the energy mix. The company estimated that their installation in Sweden saved 438 kilograms of CO2 equivalent per year per metre squared. 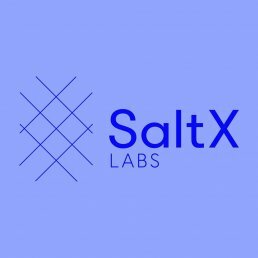 SaltX Labs is SaltX Technology’s joint development and open innovation platform. SaltX possesses great knowledge within salt and nano-coating technology which can be used to store, boost or convert energy. SaltX works with a wide range of salts and with temperatures below 0 to 500 degrees Celsius.